The maker movement has transformed the way students think and learn. Their learning is self-directed and knowledge acquisition is inquiry-based. These are the cornerstones for developing lifelong learning skills. We both have active makerspaces in our school libraries because we see inquiry learning as a stepping stone to innovation and deep knowledge acquisition. Inspired by the maker movement and with the goal to do more beyond our own libraries and our own districts, Kris founded SLIME and Gina jumped on board as co-director. Though we work in different school districts, we joined forces to provide unique learning experiences for our community at-large. We’ve even participated in the inaugural National Maker Faire in Washington, DC representing SLIME. SLIME, an annual event now in its second year, brings together K–12 students, educators, parents, organizations, and community members from all over Long Island to have fun and learn from one another. SLIME celebrates creativity and innovation through hands-on activities that explore everything from recyclables to robotics. When we hosted our first SLIME, Bay Shore Middle School’s principal (Dr. Outlaw) agreed to host the event for us. Although she wasn’t sure exactly what this day would look like, she trusted us and supported our decisions. We got her input about event particulars such as securing the venue and date, and then she allowed us to pursue our vision. 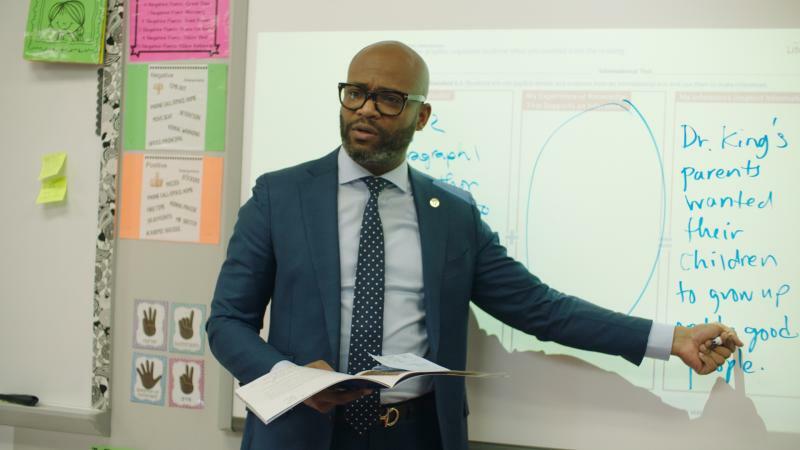 Having administrators as allies is necessary when opening up the space to the entire community. Organizing a maker event requires a lot of support. You will need a dedicated committee who can oversee all the elements that will make your event a success. 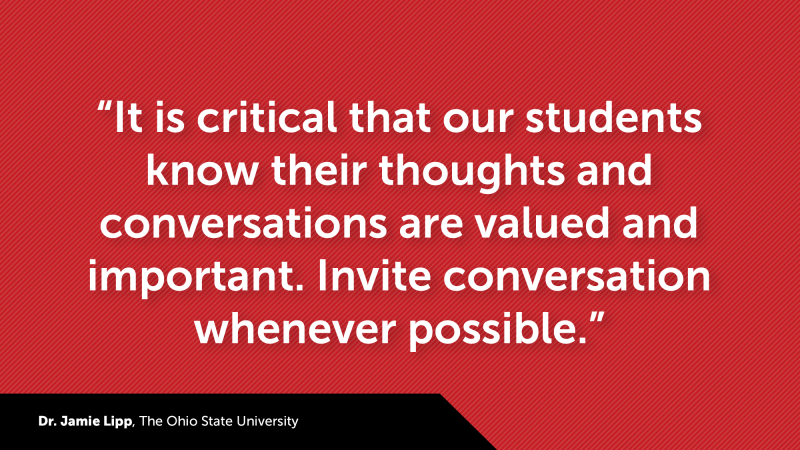 Build a network through your school community, and even your family and friends. Involve your local parent association, as well as educators from other districts. There are more people than you might think who would like to participate. During the event, kids can help out by running errands and even being in charge of project stations. Let’s face it, funding is critical! Many of local civic organizations and businesses like to support educators, and a maker expo allows them do so while also gaining recognition for their business. Present them with specific ways they can help, like sponsoring an activity, but also be prepared to welcome donations in any form. While monetary support can help you to purchase necessities as well as other items on your wish list, donations such as refreshments for volunteers, printing services, and goodies for swag bags are also a great way to get what you need. Think about posting a donation request on your school website, and harness the power of social media. Twitter and Facebook can help you connect with scouting troops and crafting groups who can help. You should also ask your friends and family to save recyclable materials. For months leading up to SLIME we save tuna fish cans, toilet paper tubes, plastic tablecloths, baby food jars, and CD cases. And sometimes you might get happily surprised! Two weeks before our first SLIME event, we received a grant to purchase art supplies and a digital camera with a portable printer. You might even find a use for those 300 picture frame corners that you found on Craigslist! There is a quote we love from Benjamin Franklin, which is a guiding principle for us: “Tell me and I forget. Teach me and I remember. Involve me and I learn.” Remember... It’s all about the kids! An expo can be a showcase for what students created at school, but it’s not school. What participants loved about SLIME was finding the joy of learning. While standards and assessments are necessary to help students reflect on their progress, the first question you should ask yourself when organizing an activity is “Will kids enjoy this?” If they aren’t having fun, then it’s just another day at school. How do you get all those people to show up to an event that’s never been done before? The answer lies in advertisements, marketing, and communication. Start with the school librarians to get the word out, but don’t stop there. Contact district administrators, and network at local conferences. Use listservs to spread the word, and use every lead possible! Couple that with social media and you’re on your way to a successful event. Roll up your sleeves and start planning your own expo! Visit our website, join our Facebook group, and follow the event on twitter at @SlimeExpo. Kristina Holzweiss of Bay Shore Middle School (Bay Shore, NY) was named School Library Journal School Librarian of the Year in August 2015. Be sure to check out her other blog post, My Story: From a Job Cut to Becoming School Librarian of the Year. 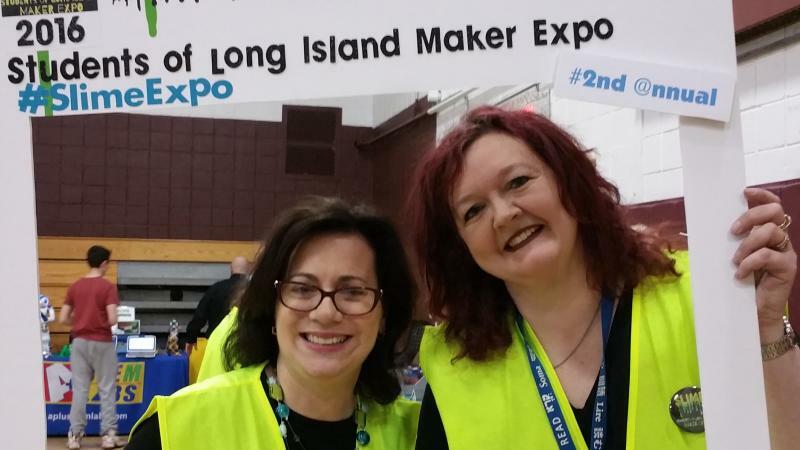 Together, she and her colleague Gina Seymour of Islip High School (Islip, NY), are spearheading the maker movement in Long Island school libraries. Follow Kristina at @lieberrian. Gina Seymour (Co-Director of SLIME) is the library media specialist at Islip High School. She is the recipient of SSLMA School Librarian of the Year (2014) award, serves on the ALA's Website Advisory Committee, and is Chairperson for YALSA’s Website Advisory Committee. Follow her at @ginaseymour. Its like you learn my thoughts! You appear to know a lot approximately this, such as you wrote the guide in it or something. I believe that you could do with a few p.c. to drive the message house a little bit, however instead of that, this is wonderful blog. An excellent read. I will certainly be back. Hi there to every , since I am truly eager of reading this website's post to be updated daily. It consists of good information. What's up friends, good post and nice arguments commented here, I am truly enjoying by these. Yes, even though everything that listing down, in the end you ought to sit and compose an entire response, much the same way you'd write any essay. It is common for teachers to lament that students are struggling to write despite having done quite well in the PMR English exam for 15-year-olds. 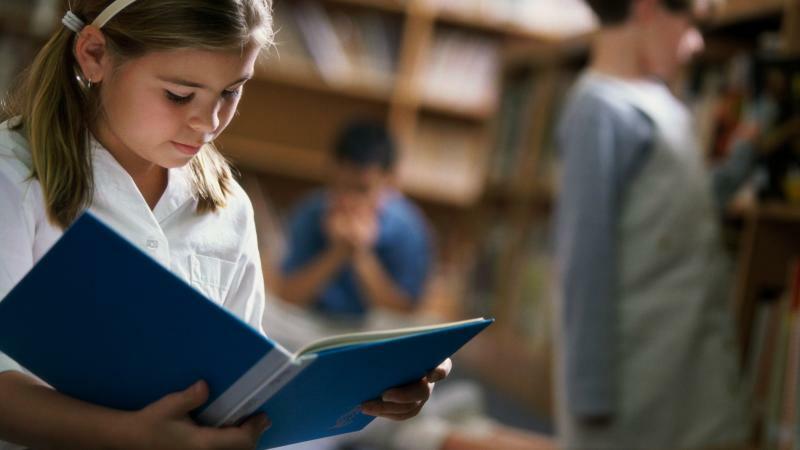 Reading and writing whenever possible is definitely the best strategy to develop a writing style. Great info. Lucky me I discovered your blog by accident (stumbleupon). I have book-marked it for later! Generally I don't learn post on blogs, however I would like to say that this write-up very compelled me to take a look at and do it! Your writing taste has been amazed me. Thank you, very nice article. Thanks for ones marvelous posting! I definitely enjoyed reading it, you're a great author.I will ensure that I bookmark your blog and may come back in the future. I want to encourage you to definitely continue your great posts, have a nice evening! Hey! I know this is kinda off topic nevertheless I'd figured I'd ask. Would you be interested in exchanging links or maybe guest writing a blog article or vice-versa? My blog addresses a lot of the same topics as yours and I feel we could greatly benefit from each other. If you're interested feel free to send me an email. I look forward to hearing from you! Wonderful blog by the way! If you would like to increase your knowledge simply keep visiting this website and be updated with the most recent gossip posted here. Sustain the remarkable job !! nettoyage dispose d'équipes de nettoyeurs professionnels spécialisés dans les nettoyage de fin de bail, en conformité avec les standards exigées par les régies immobilières les plus exigeantes de Suisse. Nos prestations comprennent entre autre : Le nettoyage des portes, des fenêtres, des plinthes et des sols, Le dépoussiérage des radiateurs (avant et arrière), Le détartrage et le nettoyage des robinets dans les salles d'eau. Le nettoyage de la chape, la cave, de la terrasse ou du balcon. Nettoyage de la banque d'accueil, non encombrée. Le nettoyage des volets ou stores extérieurs. Le nettoyage total de la cuisine, intérieur et extérieurs des placards, des filtres de hotte aspirante, frigo, fours. Nos équipes de nettoyeurs professionnels respectent nos trois règles d'or : Propreté, Ponctualité, Politesse, Pour un nettoyage de votre maison ou appartement après déménagement faites une demande de devis de nettoyage et nous nous engageons à vous contacter dans les 72 Heures afin de vous établir un devis gratuit de nettoyage suite à votre déménagement. Au-delà de la qualité de ses prestations, G.E.M and Services s’attache à apporter à ses clients toute l’ingénierie de services nécessaire,ainsi la mise en œuvre de ses métiers constitue pour eux un élément de plus-value de leur réussite ». Whoa this is a handy webpage. ll encounter is lighting but this is solved as soon as the venue is lit up. She arrived, in her late teens, at La Guardia airport and took a taxi to Times Square. Velazquez inside 17th century and current young painters in vast quantities reflected the Spanish art background and skills. Aw, this was an incredibly nice post. Finding the time and actual effort to generate a superb article… but what can I say… I hesitate a whole lot and never seem to get nearly anything done. My brother recommended I might like this website. He was entirely right. This publish truly made my day. You cann't imagine simply how so much time I had spent for this information! Thank you! I've been browsing online more than 4 hours today, yet I never found any interesting article like yours. It's pretty worth enough for me. In my opinion, if all web owners and bloggers made good content as you did, the internet will be much more useful than ever before. hey there and thank you for your info – I have definitely picked up something new from right here. I did however expertise several technical issues using this web site, as I experienced to reload the site lots of times previous to I could get it to load correctly. I had been wondering if your web host is OK? Not that I am complaining, but slow loading instances times will sometimes affect your placement in google and can damage your quality score if advertising and marketing with Adwords. Anyway I am adding this RSS to my e-mail and can look out for much more of your respective interesting content. Ensure that you update this again very soon. I go to see day-to-day a few blogs and websites to read articles, however this website offers quality based content. Do you have a spam issue on this site; I also am a blogger, and I was curious about your situation; many of us have created some nice procedures and we are looking to trade methods with others, why not shoot me an email if interested.